Patented needle wheel aspiration system. Wide neck collection cup with easy twist feature for effortless cleaning. Dual injection inlets increase bubble / water contact time. Bubble production diffuser to prevent the flow of micro-bubbles into main aquarium. Can be used in sump or with hang on mounting bracket. Perfect for saltwater reef and planted aquariums. Illuminates aquariums with bright white rays. Visually appealing aquarium light. Energy efficient. .
Saltwater and freshwater replacement lamp. Casts sparkling bright white rays. Provides high lumen output to simulate the midday tropical sun. Fits all compatible electronic ballasts. .
Saltwater replacement lamp. 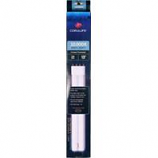 Emulates the softer shades of blue light found at dawn dusk and in deeper water. 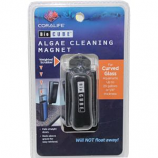 Promotes photosynthesis and causes corals to fluoresce in beautiful glowing colors. True actinic blue light peaks at 420 nanometers. Fits all compatible electronic ballasts. 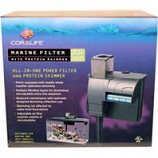 Designed for marine and reef aquatic environments up to 30 gallons. Protein skimmer included. Includes large filter cartridge. Ideal for consumers stepping into the saltwater hobby for the first time. .
For freshwater and saltwater aquarium environments. 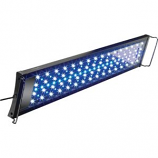 Bright LED lighting-PAR levels sustain and grow medium light level plants and low light corals. 24 hour timer-Control white LEDs blue moon glows and color enhancing RGB LEDs. Unlimited color combinations. Natural day cycle-automatic 30 min ramp times to mimic sunrise/sunset. Drawstring tie secures carbon ceramic resins ammonia and most other types of media. 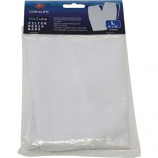 Includes 2 reusable 300-micron nylon mesh bags. 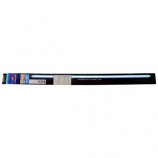 For freshwater and saltwater aquarium environments. . .
Can remain submerged inside aquarium know your salinity at a glance. Compact design allows for discreet placement in aquarium will not interfere with view. 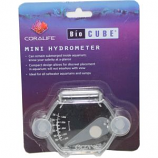 Ideal for all saltwater aquariums and sumps. 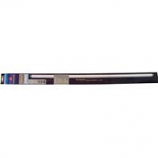 . .
For curved glass aquariums up to 29 gallons or 1/4 thickness. Weighted scrubber. Falls straight down. Rest above gravel for easy retrieval. . Quietly and efficiently removes harmful organics from saltwater environments. Simple to set up and easy to clean. 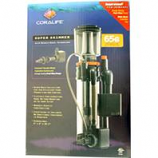 Heavy duty air pump air flow valve skimmer and tubing included. . .